Recently retired, Ciarán was a career public servant having worked in Local Government and Local Development for his entire professional life. He was Assistant City Manager for Dublin City Council from 2002 to 2010 and held the post of Managing Director, Ballymun Regeneration Limited from 1997 to 2010. Ciarán also was County Development Officer with South Dublin County Council, and Chief Executive Officer with South Dublin County Enterprise Board. 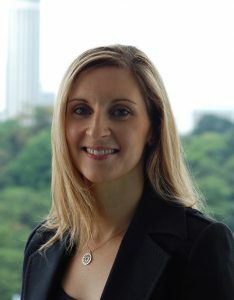 Prior to retirement, Sheena, was head of the Planning, Social and Environmental Department of Ballymun Regeneration Limited. She is a professionally qualified Town Planner with over thirty years’ experience of local authority planning and is the former Chair of the Irish Branch (Southern Section) of the Royal Town Planning Institute (RTPI). She has particular experience and expertise in relation to urban regeneration and additionally the development of sustainable communities encompassing economic, social and environmental aspects and their interdependence. Derek currently has a dual role as Head of Design Innovation and Commercialisation and Head of the Ceramics, Glass, Jewellery and Metals Department at the National College of Art and Design (NCAD) in Dublin. He is the Project Manager at Origin8, the technology transfer office at the NCAD. Derek is also a practicing designer and design researcher. His art work is featured in the national museum of Ireland and the Worshipful Company of Goldsmiths exhibitions as well as in international private collections. As a member of the NCAD Research Institute, Derek’s research has been presented in peer reviewed international design conferences in Australia, China, Finland, Italy, and the USA. 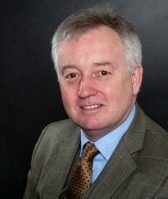 Derek sits on the Board of Directors of the Crafts Council of Ireland and on the General Panel of Experts – Higher Education and Training Awards Council, Ireland. 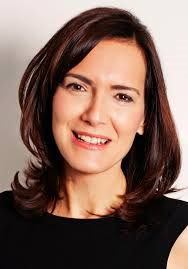 Professor Anna Davies is Associate Professor of Geography at Trinity College Dublin. She works within the broad area of environmental governance and has published widely in areas as diverse as waste management, environmental values and climate change. Her current research focuses on three intersecting areas, innovation and sustainability, sustainable consumption and climate justice. Anna is a member of the Geographical Sciences Committee of the Royal Irish Academy and a member National Economic and Social Council. Lisa currently holds the position of Marketing Manager at IKEA, Ireland. She has extensive experience in both retail and IT sectors, having started her career in marketing with Ingram Micro. 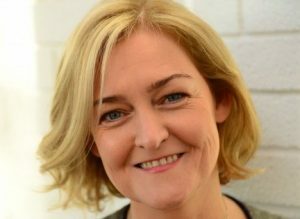 She has a Bachelor of Arts Degree from UCD in English and History of Art, a Postgraduate Diploma in Public Relations from the Fitzwilliam Institute, and a Master’s Degree in Strategic Management from the Dublin Institute of Technology. Jessica Dailey recently began a full time doctorate in counselling psychology at Trinity College Dublin. Prior to this, she worked for 15 years in management consulting and human resources. Her work involved advising leadership teams on people management and performance, particularly through business transformation. Jessica has always had an interest in the environment and education as well as social enterprise. She previously served as a school governor in a primary school in South London. Sarah Miller is the Rediscovery Centre’s Company Secretary and is a PhD qualified environmental scientist with a Degree in biotechnology and a Masters in Business Administration. 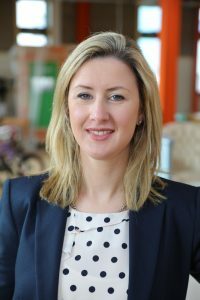 She has over 15 years private sector experience in the UK, Ireland and Australia, primarily in the area of operational waste and energy management. Sarah established the Rediscovery Centre as a small research and education centre in 2005 and has overseen its development ever since.